For the past two years, Saudi Arabia has been trying to join the Organisation Internationale de la Francophonie (OIF). But some member countries believe Riyadh’s bid is at odds with the democratic ideals promoted by the grouping. The 2018 summit of the Organisation Internationale de la francophonie (OIF) – generally known as la Francophonie – on October 11 and 12 in Armenia promises to throw up some tough discussions and expose fault lines within the grouping. This includes the thorny issue of Saudi Arabia’s bid to gain observer member status in la Francophonie, the French-speaking equivalent of the Commonwealth. It’s not the first time that the oil-rich Gulf kingdom has submitted its application. At the last Francophonie summit in Madagascar in 2016, Riyadh’s bid was sidestepped following heated closed door discussions between delegates, sources present at the meeting told reporters. At the 2016 summit, member states backed the decision of the Ministerial Council of Francophonie (CMF), which found the Saudi application “incomplete” and recommended further research. It was a perfect “kick the can down the road” move between the representatives, who agreed that an OIF evaluation mission would be sent to Saudi Arabia to ensure the “good progress of the file”. The compromise managed to paper over the divisions among the delegates. But it did nothing to discourage the Saudi kingdom, which renewed its candidacy bid ahead of the 2018 summit in the Armenian capital, Yerevan. The problem with the Saudi bid does not appear to be the OIF membership rules. OIF statutes state that if French is not the requesting country’s official language, it does not constitute an obstacle to its membership. Applications are examined for the place that the French language occupies in the concerned country. Moreover countries with relatively few French speakers, such as South Korea, Mexico, Thailand and Estonia, are part of the organisation’s 26 observer members and their memberships have never sparked any complaints. The OIF has 58 member states and governments – including several former French colonies and protectorates in Africa and Asia – as well as those observer members. To become an observer, the OIF requires candidates to demonstrate “a desire to promote the use of the French language, regardless of its actual use at the time of application”. 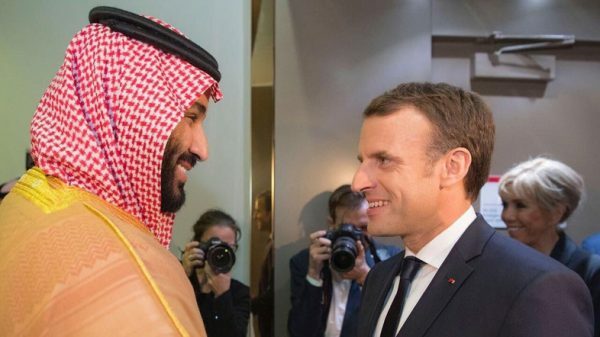 The partnerships sealed between Riyadh and some French universities, and its efforts to promote the teaching of the French language adequately meet the grouping’s membership conditions. There remains though the question of “values”. The mission statement on the OIF website notes that its “members share more than just a common language. They also share the humanist values promoted by the French language” and that “the French language and its humanist values represent the two cornerstones” on which the OIF is based. The grouping also asks candidates to “translate a real interest in the values defended by la Francophonie”. That’s where the problem lies. When it comes to gender inequality, the death penalty by beheading and other human rights issues, King Salman bin Abdulaziz al-Saud’s kingdom is on the list of some of the world’s worst violators. The recent disappearance of Jamal Khashoggi after the prominent Saudi dissident journalist kept an appointment at the Saudi consulate in Istanbul has once again put Saudi Arabia’s crackdown on dissent under the international spotlight. Over the summer, the issue of Saudi human rights violations sparked a diplomatic spat with Canada, a Francophonie member. In August, the Gulf kingdom expelled the Canadian ambassador and froze all bilateral trade and investment after Ottawa voiced concern for jailed Saudi rights activists. In its application file, under the chapter “attention paid to the status of women”, Saudi Arabia highlights “granting women the right to stand for and vote in the 2011 municipal elections”. While true enough, it remains a rather tepid response and not one likely to sway OIF Secretary-General Michaëlle Jean, a committed and popular women’s rights advocate. Elected to the position in 2014, the Haitian-born Canadian national views herself as a staunch defender of the rights of women and indigenous peoples. Saudi Arabia also funds a number of Koranic schools and Islamic universities in Africa that are suspected of spreading a Wahhabi ideology which, critics say, nurture Salafist and jihadist groups. Saudi Arabia however can count on the support of Morocco, Senegal, Benin and Gabon who push for its acceptance into the Francophonie family. France though remains uneasy about the prospect of Saudi Arabia entering the fold. When asked about his administration’s position on the issue, French President Emmanuel Macron fudged his response with an anodyne, “We will have to work with the general secretariat and the other members to express ourselves on this subject. So, I will not preempt it several weeks before the summit in Yerevan,” that he told reporters at a press conference in New York on the sidelines of the UN General Assembly meeting in September. Leila Slimani, adviser to the French president on Francophonie, failed to respond to FRANCE 24’s interview request. France may not want to jeopardise the economic interests it has developed over several years with the world’s largest oil producer. The radio silence on the Saudi issue by all the OIF members contacted by FRANCE 24 appears to mirror some of these economic concerns. If Saudi Arabia is eager to join the Francophonie community, it’s not only for the love of the language of Molière. The Gulf monarchy, like the other candidate countries, is seeking a way to access a geopolitical sphere of influence. Founded in 1970, the OIF mission seeks to embody the active solidarity between its 84 member states and governments, which together represent over one-third of the UN’s member states and covers a population of over 900 million people, including 274 million French speakers. Other Gulf countries have understood the appeal of belonging to the grouping since Qatar and the United Arab Emirates (UAE) are already part of the club. In 2012, at the Kinshasa summit, Qatar surprisingly obtained the status of “associate member” without passing through the customary “observer member” status. But behind the scenes at the Kinshasa summit, the tiny Arab emirate plead its case and found the right arguments to convince several delegations about the merits of its request. The UAE has also acquired observer status. Can Saudi Arabia, in turn, become part of the Francophone family after the Yerevan summit? “A country that enters the OIF is always good news, especially as the country tries to adhere to the requirements in the field of international law,” said Habib Meyer, a parliamentarian representing French nationals abroad, in an interview with FRANCE 24. Member states are expected to decide on October 11 and 12.